TEAM is a leading supplier of carbon and energy management solutions. We specialise in energy management software to help businesses manage and report on their energy data; offer energy bureau services to support organisations with their monitoring and targeting; and provide an energy consultancy service to help organisations get the most out of energy schemes and initiatives. Founded in 1985, TEAM has customers from all sectors including private and public, education, government and utilities. TEAM consistently produces energy savings that exceed the cost of our services and products. On average our bill validation service recovers five times more than the cost of the service and in 2017 we have saved our customers over £5m in utility billing errors. Our vision is to help each one of our customers to build a successful and optimised energy management service. Help improve our customers cost assurance to maximise cost recovery opportunities by validating utility invoice data and delivering access to quality data. 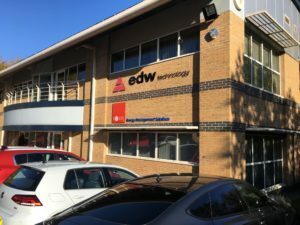 Since the acquisition in 2017 by EDW Technology, TEAM have delivered several product and service enhancements. Sigma Energy Intelligence, a high-performance reporting tool, is a brand-new addition to the Energy Management Software suite and the Energy Bureau service has boosted bill recovery performance with a new business intelligence tool. TEAM is committed through its Environmental Policy to continually improve environmental performance and support a culture of environmental awareness and are ISO 9001 and ISO 14001 accredited.